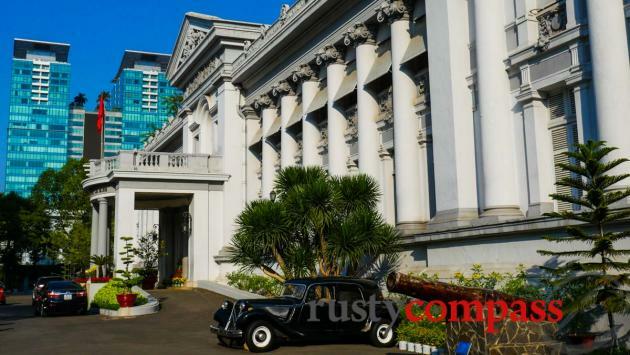 The former French Lieutenant Governor's Residence - now the Ho Chi Minh City Museum. 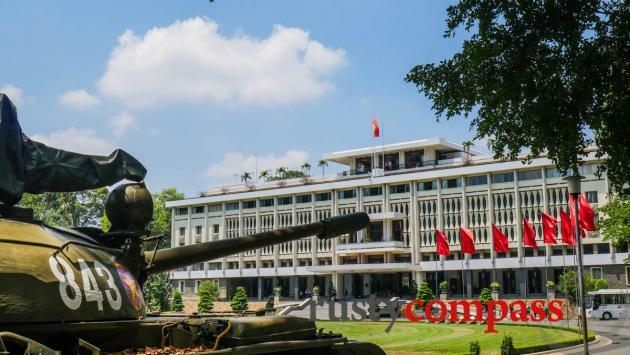 Modernist former Presidential Palace - NLF tanks captured the palace on 30 April 1975. 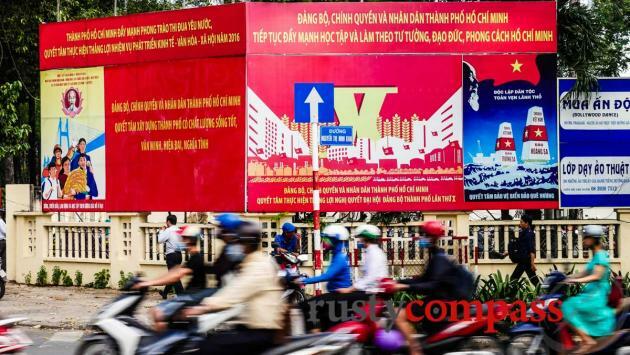 Saigon propaganda - resilient to change. Duong (right) - your guide. 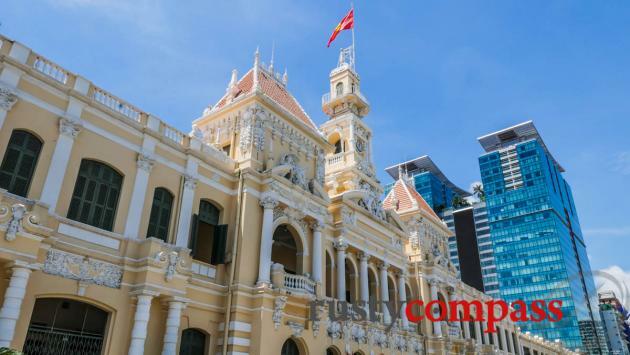 Historic heart of Saigon - Continental Hotel and Opera House. 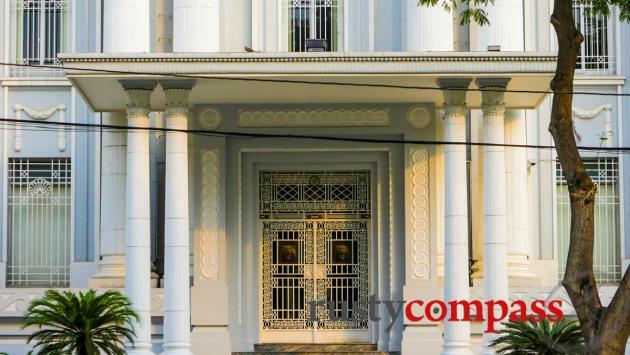 One of Saigon's oldest colonial buildings - under threat. 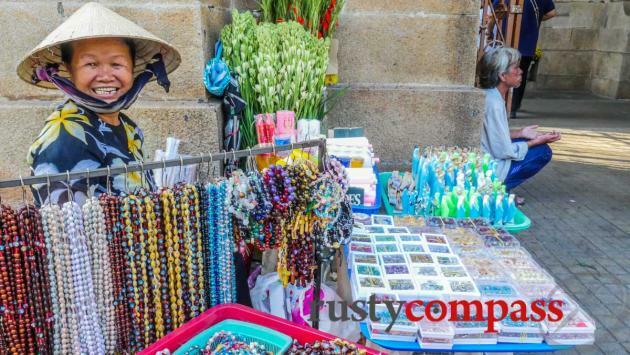 Sellers at Notre Dame Cathedral, Saigon. Saigon shapes - pre 1975 offices of Shell Petroleum. 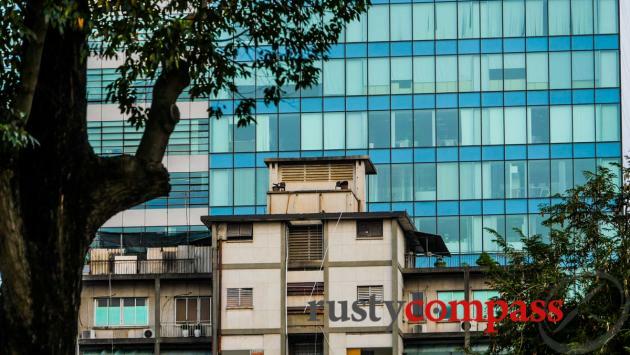 Site of the April 1975 US helicopter evacuation captured by Hu Van Es with a new glass tower in the background. 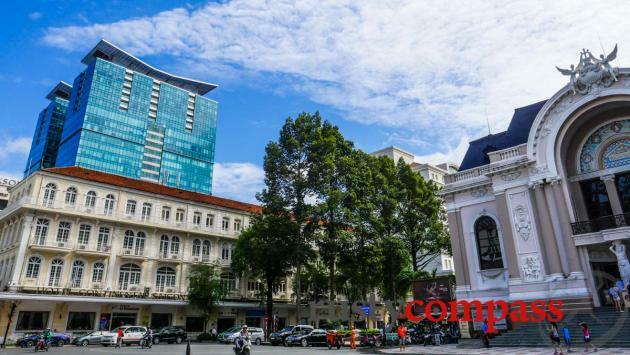 French Hotel de Ville meets Saigon's modern skyline. 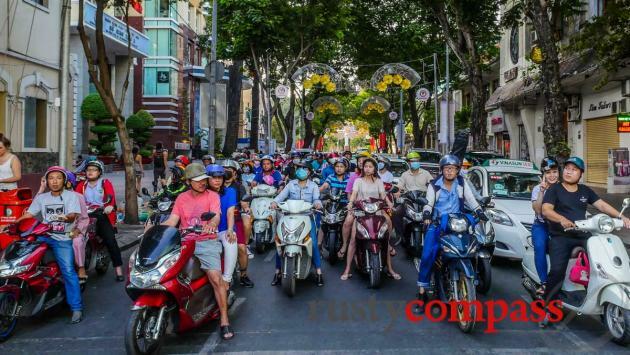 A heritage walking tour through Saigon’s historic streets capturing the city’s dramatic past and frenetic present - designed by Rusty Compass. 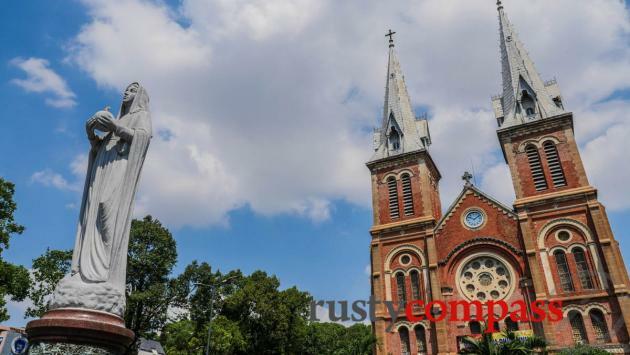 Saigon - Tales of the City is a heritage walking tour for travellers seeking a deeper experience of Saigon's past and present. The small group tour combines historical insights, with the life experiences of a local - our guides, Duong and Nhi. 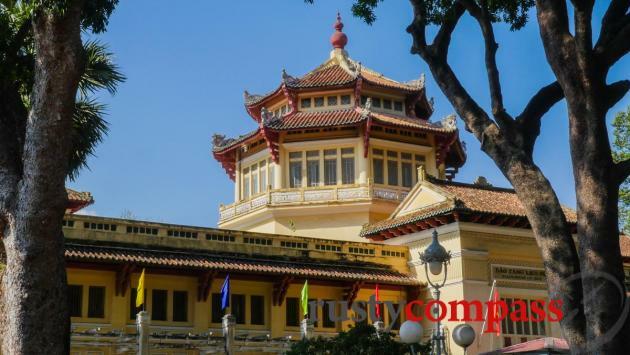 The major events in Saigon’s three centuries as a Vietnamese city are covered. 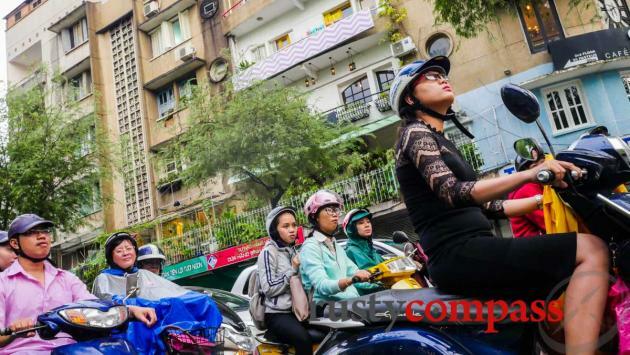 We explore its founding as a Vietnamese city, French colonialism, the Vietnam War, and decades of post-war poverty, while constantly referencing the city’s development and its present as Vietnam’s fast-moving economic powerhouse. Photo: Mark Bowyer Duong (right) - your guide. Along the way we’ll stop in the city’s cool cafes and chat about what we've been seeing. 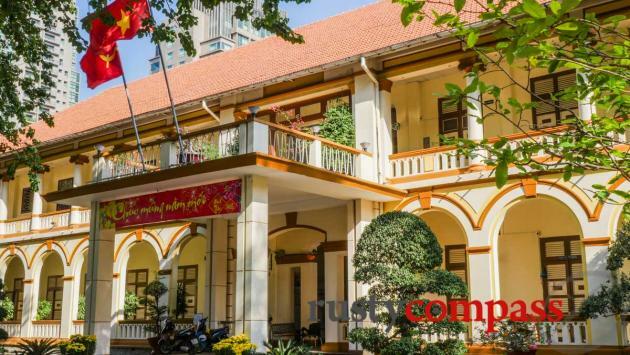 We finish up with dinner at The Old Compass Cafe where you can experience a delicious Vietnamese family-style meal in an intimate old Saigon space. This is a walking tour - you’ll be on your feet for around 3 hours. We move at a comfortable pace with stops, and keep groups small for flexibility. The tour was designed by Rusty Compass. 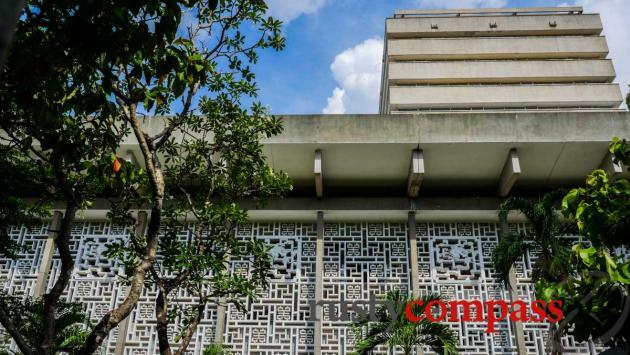 If you'd like to ask any questions about the tour, come and meet us at The Old Compass Cafe off Pasteur St in the heart of Saigon. We hope to meet you! Rusty Compass and Old Compass Travel are partners - so this is definitely not an independent review. If you’ve found the Rusty Compass approach to travel appealing, chances are you’ll find this tour rewarding too. In any case, come by and say hi at The Old Compass Cafe.